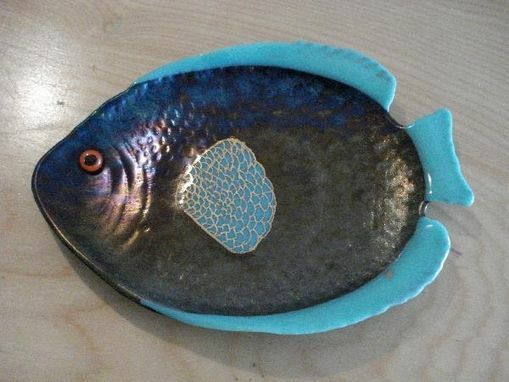 Take that tropical party theme to another level with this fused-glass fish dish. 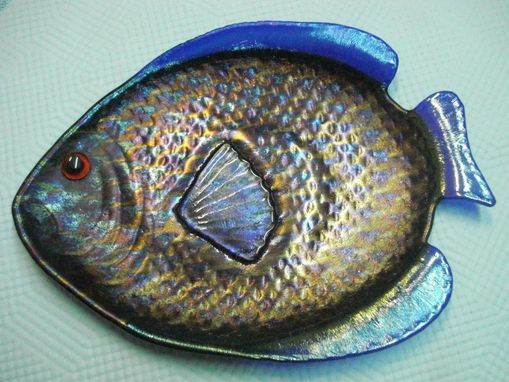 The iridescent fish scales are bordered with a darker opaque glass, and fired. 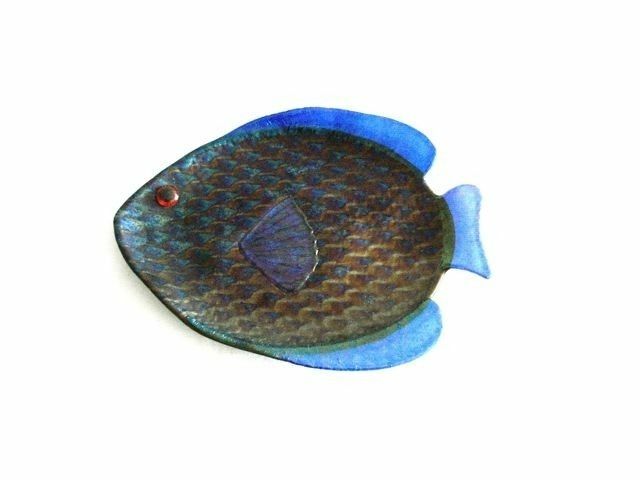 After that, I attach the brightly-colored fins and a fused-glass fisheye, and then fire the whole piece once more to give it that slump. 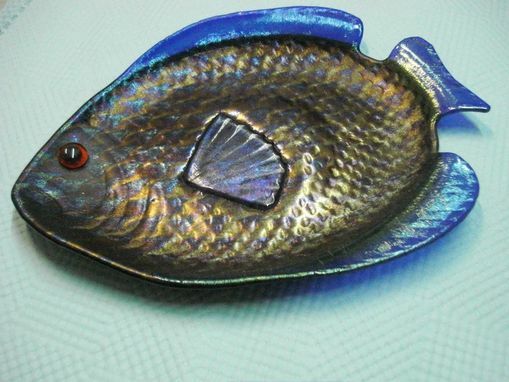 Also makes a great sushi platter! 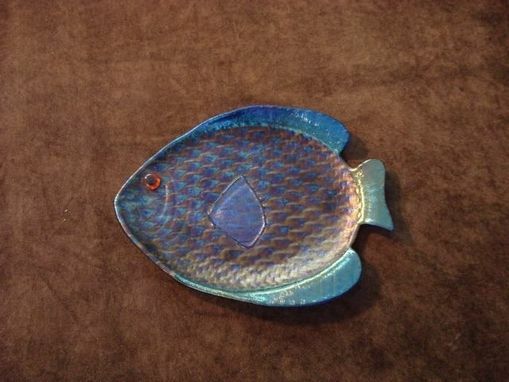 This custom piece measures 7''x10'' and is dishwasher safe, but I recommend a careful handwashing.